This will probably be the dumbest question you'll read all day: Do you struggle with procrastination? Like, literally able to do ANYTHING except for the one thing that you're supposed to be doing? Oh, I'm sorry, would it have been easier to ask: "Are you human"? If you answered "yes" then welcome, you've found the perfect place where you belong! I recently read that we're supposed to "read what we need to learn". And if you've taken a look around this blog for more that 4 seconds, you've probably seen the word "productivity" aaaaabout 42 times. Go ahead. Take a look around. Crazy, huh? I've obviously been working on learning how to get rid of procrastination for a while now! 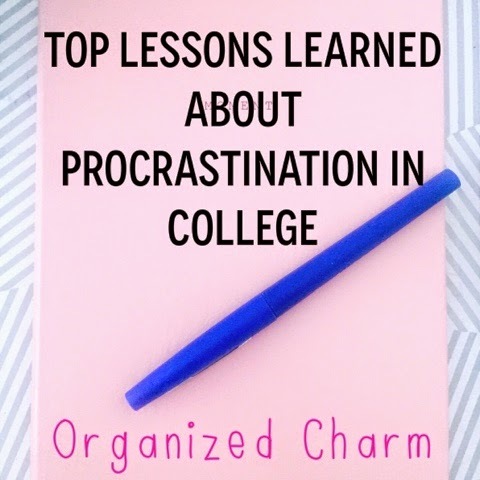 Here are the biggest lessons I learned about procrastination in college! Procrastination is one of those things that is just so difficult to overcome! The worst for me was in undergrad because there were just so many other things to do: parties, friends, work, moving. You name it and it could distract me from schoolwork. Here are some of the things I learned that helped me balance out my social life and school work! 5 helpful lessons you need to learn to kick procrastination to the curb! 1. Procrastination is a form of fear. Last year, my super nice professor gave us a take home midterm. "Awesome!" I thought. "She is just the coolest person ever for doing that!" And she was. But did the fact that I had this thing in my house all of spring break make me want to take it? Absolutely not. It sat on my desk until the day before. Why? Fear. Fear of failing. Or maybe just fear that I would start it and realize how hard it was and that I hadn't actually learned anything so far. It even prompted me to write this post! So, what' s procrastinating college student to do?! 2. In order to accomplish things, you have to face that fear. 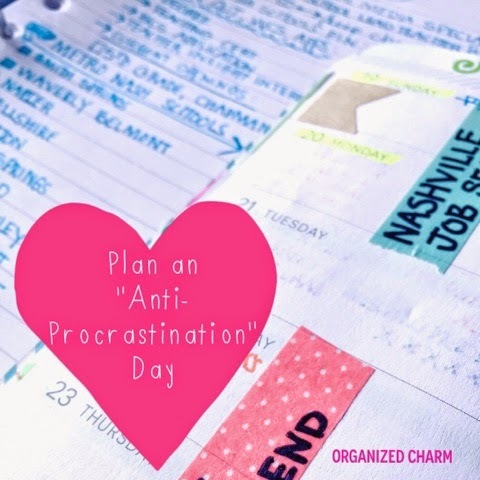 Choose an "Anti-Procrastination" Day. Back in the day, I used to try to use the FlyLady system for keeping our house clean. My attempt at those routines ha been long gone for a few years now, but there are a few things of hers that I do still use. One of them is "anti-procrastination" day. Choose one day a week to just get those tasks you've been dreading over with! I promise, you will feel so much better once you do! Most of the time, once I start a task, I realize that it's much easier than I expected. Just jump right in! 3. A good plan is worth a million minutes. I'm a planner. No doubt about it. 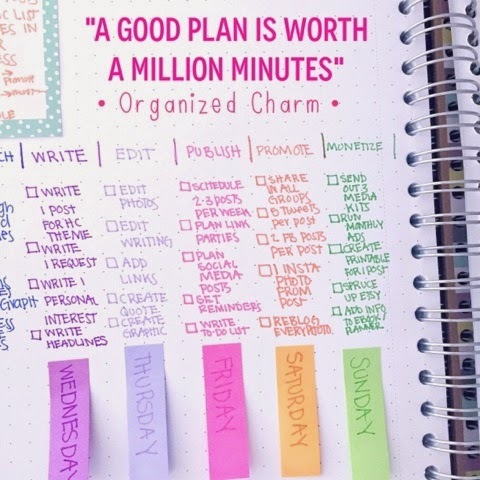 But even if you're more of a "free spirit" than I am (in which case this entire blog looks like pure insanity to you) it's still helpful to make a productivity plan! A productivity plan is exactly what it sounds like! Make a list of your stuff! The tough stuff that you've been avoiding or the tediously boring mind-numbing stuff that you hate to do. 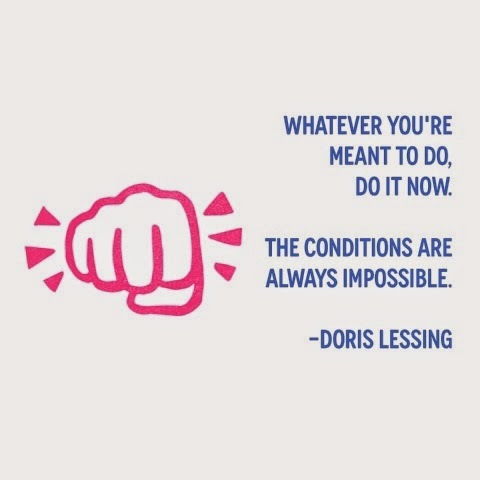 Then get started on it! Here are some tips to help you get going! 4. It's easy to get distracted (especially when you'd literally rather be doing anything else). Back to undergrad and midterms (and finals): When I came home from class in the afternoon, I just wanted to relax by doing nothing. Which is fine, as long as "nothing" doesn't turn into all afternoon (like it often does). If this is a problem for you, too, try this: Give yourself a "reminder". 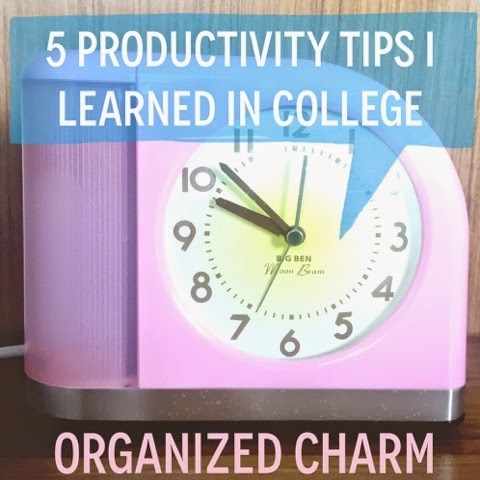 For example, place your study guide near your computer, so that when you're thinking about heading over to Pinterest, you remember that you've got an exam to study for. Or set a reminder on your phone, so that 10 minutes into that Insta-binge, you remember you still have reading to do! 5. Bribing yourself is definitely okay. There are a lot of times in life that bribing is frowned upon. Luckily, college is not one of them! I would use whatever it was that I was just DYING to do against myself. Like, If you finish your rough draft in time, you can go to brunch on Saturday or watch that new Netflix. Set up a reward plan for yourself and really stick to it! You are the boss of yourself and you are not about to be stopped by some weak little distraction or lack of self-discipline, right? If all else fails, designate a hiding spot for your phone/computer until you get your work done! 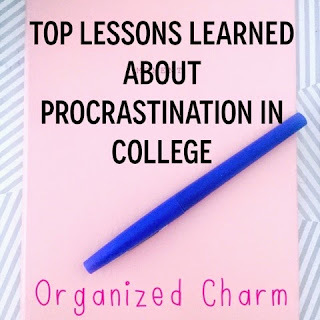 What lessons have you learned while in college? Are there any specific "anti-procrastination" tips that really help you out? Share them with our readers below!